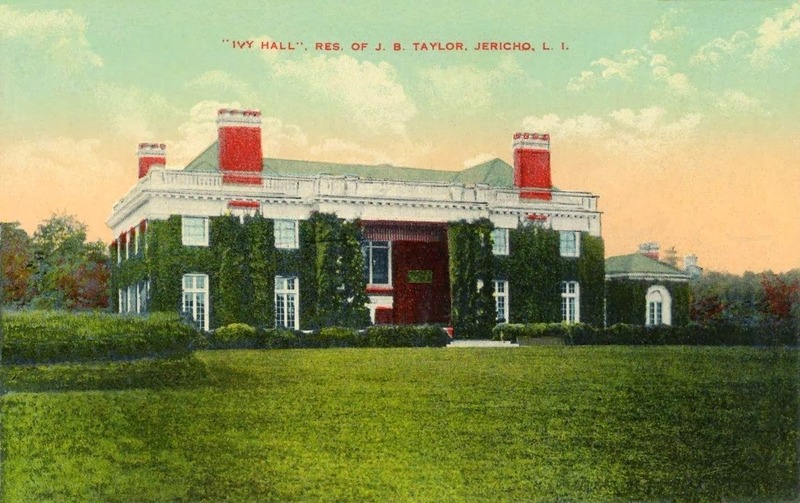 'Ivy Hall', the Ralph J. Preston estate designed by Warren & Wetmore c. 1904 in Jericho and pictured here under subsequent owner James Blackstone Taylor. 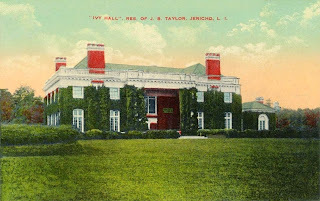 Click HERE for more on 'Ivy Hall' which has since been demolished. Just a reminder that if you look at the aerial photograph of ‘Jericho House’ you’ll see this side of ‘Ivy Hall’ in the top right-hand corner. Elegant living..perfectly situated. best topography and proximities. Convenient to all. An observation on the next post of Kirby Hill, a neighboring estate to Ivy Hall, while the mansion was saved, why do so many of the newer houses disregard the topography of which wooded speaks of? Look at some of the super-sized walls created on those lots? why not work with the rolling hills?